This is an amazing album and is the first in a new series of CDs from our own Aquavision Music label. 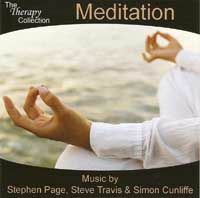 'The Therapy Collection' heralds a new series of CDs dedicated to various therapies and is launched with this brilliant CD called 'Meditation' and features music from Stephen Page, Steve Travis and Simon Cunliffe. 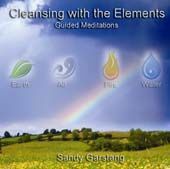 The soft ebb and flow of the sea leads the listener into track 1 and returns between each of the tracks thus ensuring that there are no silences on the CD providing 63 minutes of blissfully relaxing music perfect for meditation or as a background to a healing or therapy treatment.